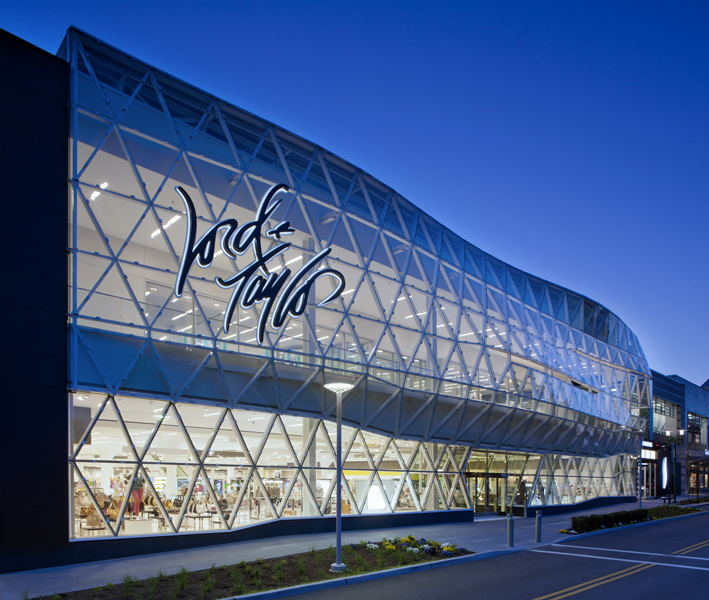 With its sleek all-white interiors and dramatic glass-steel storefront, Lord & Taylor’s store at Westchester’s Ridge Hill, Yonkers, NY, is its most contemporary to date. The 80,000-square-foot, two-level space, designed in partnership with Giorgio Borruso Design, Marina del Ray, California, has a spacious, ultra-modern feel. 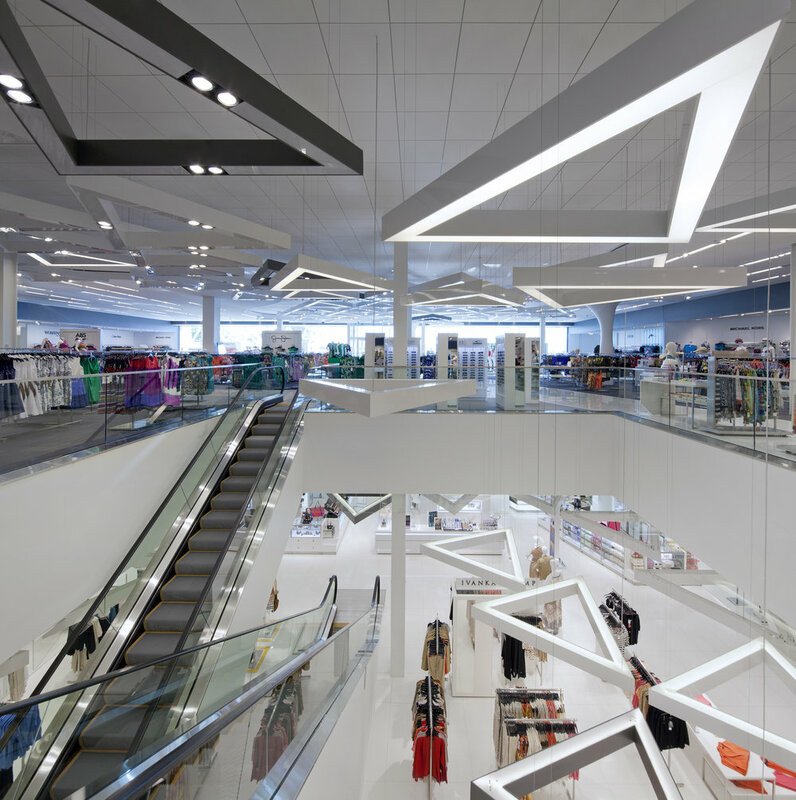 Streamlined fixtures and large white tiles are featured throughout the store, which utilizes an asymmetrical racetrack aisle for navigation. 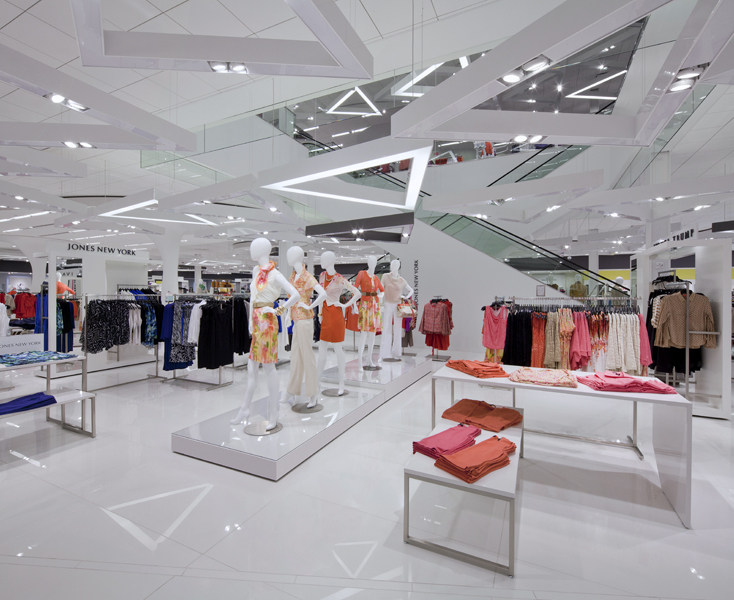 Angled lighting fixtures in the fitting rooms and the use of floor plates at the foot of the mannequins (to identify outfits) enhance the modern theme. 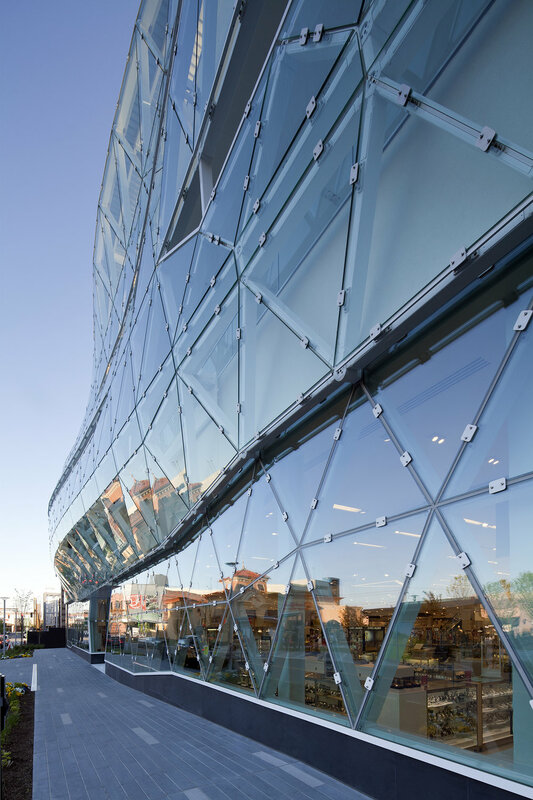 The outside of the building features large windows, and inside white diagonal bars run up against them, giving the store a modern look with triangles or diamonds. Baker said the store’s inside looks similar to the recently redone Fifth Avenue location in Manhattan.